Whether you’re attempting to learn a new language or you’re traveling to a foreign country that speaks a different language, a language translator app is one of the best ways to help you adapt to your surroundings. If you want an app that is specified for the language you are needing instead of a more general one, here are the best apps for each language. 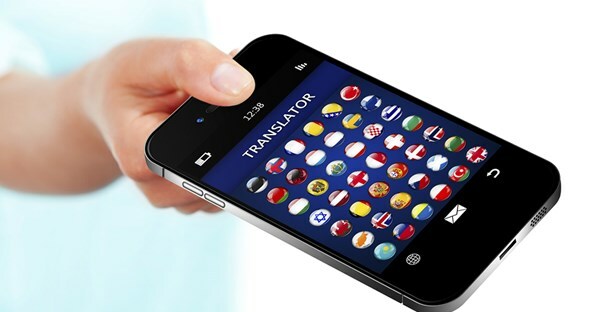 Google Translate is the most comprehensive language translation app, as it can translate up to 90 different languages. It also allows you to use your camera to translate text in 26 languages, and two-way automatic speech translation in 40 languages. This app has an offline Spanish-English dictionary, audio pronunciations, conjugation tables, three different types of translators, a talking Phrasebook, and word games to help you learn the language at your own pace. This app advertises its French translator, but it can actually translate over 30 languages. It also has an offline dictionary, a word of the day feature, transcription for most of its languages, and a sentence correction feature. Similar to the French Translator, this app also supports many languages, has an offline dictionary, word of the day feature, sentence correction feature, and vocal recognition for its spoken translation feature. Although this app is not free, it does provide some great features, like over 95,000 translations, offline capabilities, auto-correct features, and guaranteed accuracy because it is based on Lewis and Short’s 1879 Latin-English Dictionary. This app allows you to translate between English and the Japanese languages of Kanji, Kana, Furigana, Romaji, Hiragana, and Katakana. You can also see real world examples of Japanese phrases, such as on social media. This app is able to translate both spoken words and written text from Arabic to English and vice versa. It translates very quickly, and those translations can be saved offline to use as a dictionary. No internet connection is required to translate food menus, signs, documents, and more. Simply point your camera at the Chinese phrases, and it will automatically translate them for you. German Dictionary & Translator by Ascendo Inc. This app includes quite a bit for the price: an extensive offline dictionary, a Phrasebook with common words used in conversations, vocabulary quizzes, and spoken translation capabilities.